These Letters are a great way for churches to communicate effectively as they encourage people to come “back to church”! 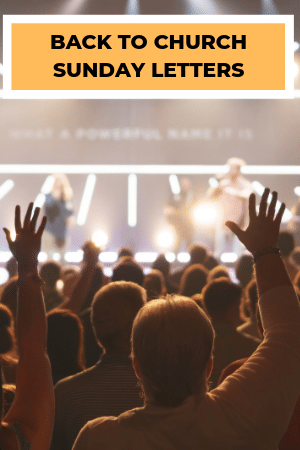 Whether it’s a letter to invite people to Back to Church Sunday or a letter of invitation to I Love my Church Sunday, or even a letter of follow up to thank them for attending church, you are sure to find letters you can easily modify and use! Actually, during the month of September as many are settling back in to their schools and jobs following vacation, we also know this is a time for people to look to the church once again for inspiration and fellowship. Logged in Members, CLICK HERE to view and/or copy full text! On this special day, we encourage our members and adherents to invite their friends, families and neighbors to come and experience a “taste” of what we’re about here at (NAME OF CHURCH). Logged in Members, CLICK HERE to view and/or copy full text! You may have seen some of the signs in our community about a special day being observed at many churches called “Back To Church Sunday”. Logged in Members, CLICK HERE to view and/or copy full text!